The average American has little idea the power of the mighty cottonseed, or how much of it is used in daily living – from food to fiber. Producers, however, depend on this important fourth step of the supply chain to add value to their bottom line. Enter Co-op Advantage® regional co-sponsor PYCO Industries, Inc. In addition to producing cottonseed oil for cooking, PYCO also markets whole cottonseed and the by-products of cottonseed processing. These valuable by-products include cottonseed meal, cottonseed hulls and linters. Whole cottonseed and cottonseed meal are a primary nutrition ingredient in the livestock industry. Hulls provide an excellent form of fiber in beef and dairy cattle rations. Cotton linters are utilized in the manufacturing of many products including mattresses, upholstery, padding, high quality papers and plastics. 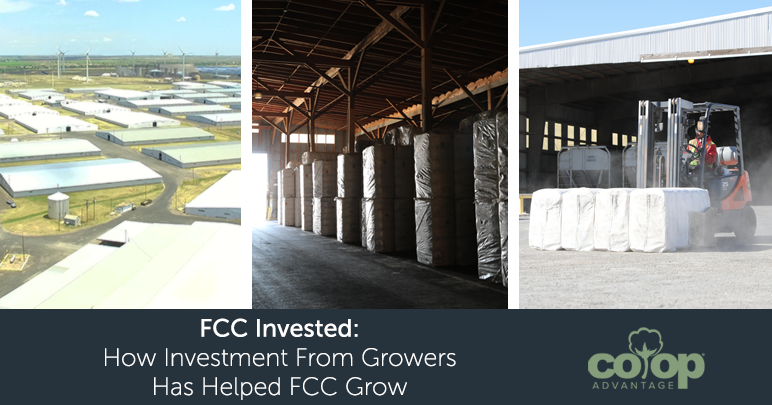 With a total of 55 gins, PYCO is the largest cottonseed cooperative in the southern United States. For more than 80 years, PYCO has been turning out high-quality products and maintaining valuable relationships with each of its many grower-owners. 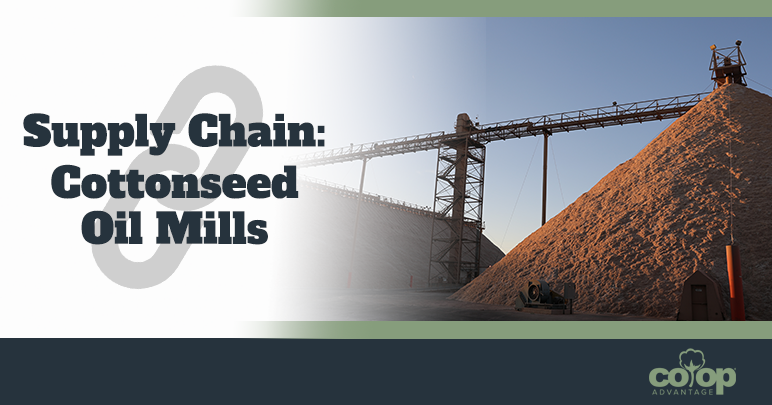 The first step – and key to cottonseed processing’s ultimate success – is aeration. From aeration to delinting; on to the hull room and ultimately to the shaker room and oil extraction – every step of PYCO’s level of the supply chain is key to making sure producers make the most of their cottonseed. “Our mission is to add value to a ton of cottonseed, and through that, return value to our producers at the end of the year,” Morton said. Sustainability and added value are two key reasons Morton said producers should consider being part of multiple local and regional cooperatives. For Morton, being part of the supply chain – and PYCO in particular – is his calling. No doubt grower-owners are glad to have Morton and all PYCO employees shepherding their cottonseed. That is The Co-op Advantage.